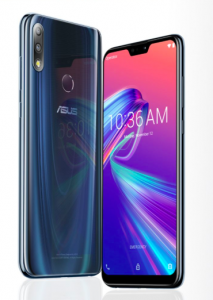 Zenfone Max Pro M1 was launched by Asus in 2018 to complete with Xiaomi in the mid-range market. The Taiwanese OEM ditched their ZenUI skin in favour of a close to stock Android distribution. Asus might be terrible in naming it, but the phone excelled in every department. Dual camera – check, powerful SoC (Qualcomm Snapdragon 636) – check, up to 6 GB RAM – check, no bloat in OS – a huge check! The phone was released with Android 8.1 Oreo out of the box. Asus promised faster updates, including major version upgrades such as Android Pie. 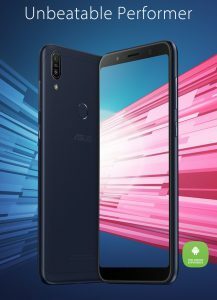 With the success of the phone, Asus launched Zenfone Max Pro M2 with a slightly upgraded specs. A budget oriented version, dubbed as Zenfone Max M2, was launched along side. Asus continued the tradition of providing stockish Android with these phones as well. Although the M2 series was launched at the end of 2018, the phones were on 8.1 Oreo. The company however promised to bring Android 9 Pie update for them within January 2019. The older Max Pro M1 was scheduled to get it by February. After missing the initial deadline, Asus announced ‘Beta Power User Program’ at the beginning of February. The idea is kind of similar to Motorola’s soak testing: the Android Pie beta builds are to be tested with a small audience first. Wide stable release will follow up. The beta program was initially limited to Zenfone Max Pro M2 only. FYI, the highlighted ones are two different models of Zenfone Max Pro M1. Fans started to cross their fingers after noticing the list – hoping for a surprise Pie update. And Asus did it! 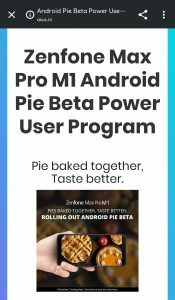 They just announced Android Pie beta program for Zenfone Max Pro M1. The beta program is currently applicable for Indian users only. Interested users may apply for beta testing by visiting this site. After submitting information like IMEI, serial number, current firmware version etc., eligible users will get the beta test builds. Asus will send out an email to users who get selected for the same. Note that the beta builds are considerably unstable than the regular builds. Don’t try to play with them on your daily driver. Interestingly the same is not applicable for the non-Pro M2 model. Readers can take a look at the article we wrote on this topic. Let’s hope the trick will work even after official Pie update. Are you planning to test the sweet Pie on your Zenfone? Please share your experience with us.